Our museum shop offers a selection of lacquer art objects – whether you wish to give them away as a gift or keep them for yourself as a souvenir of your visit to our museum. The individual artifacts are traditionally crafted in their country of origin. We endeavor to reflect the aspects of lacquer art presented in each special exhibition in the items we offer in our shop. This enables us to offer you a varied assortment in addition to several classics. 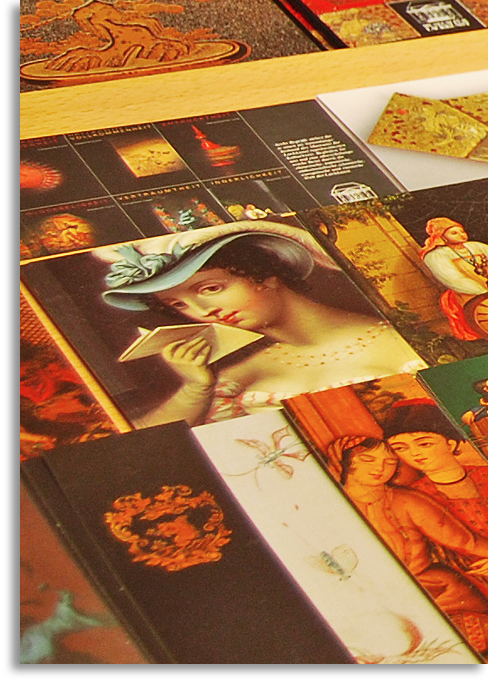 Furthermore, some of the finest artifacts from our public collection have been published as a small edition of postcards and bookmarks. We are looking forward to your visit to our museum shop. Let yourself be inspired and take home a bit of the fascination of lacquer art.